Norfolk based NIC registered electricians. 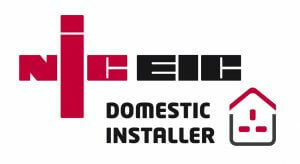 MB Electrical is a self run business which specialises in domestic wiring and heating services with over 10 years of experience. We're NIC registered electricians and fully insured. We work along side various trades that we have worked with for years and work with customers to meet any requirements they may have from the simple to the more complex installations. All consumer units AMD3 metal clad units installed with the option of split load or fully rcbo. All consumer units installed can have spare ways for extra circuits if you require any future alterations. Contact us today for a upgrade. All work carried out to current regulations, all chases filled and making good carried out if required. All work carried out to each customers specifications. All work carried out certified and notified to building control. All work carried out to current regulations. All work carried out to each customers specification. Accessories installed are low energy and fire rated. All types of heating wired from conventional gas Y plans to zoned heating and underfloor. Mitsubishi Ecodan trained whether it is a pre plumbed cylinder or separate control panel. It is a legal requirement for businesses to have their portable appliances tested. Weather your business is small, large, holiday home, rental property or if you would like your personal items tested - for peace of mind contact us today. Got a project? Give us a buzz..